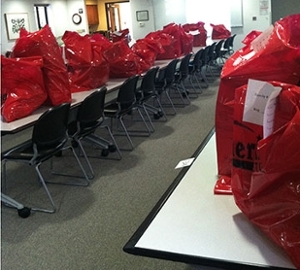 TRAVERSE CITY — Northwestern Michigan College has wrapped up another successful holiday Giving Tree program, making the season merry for 31 NMC student families. Shepherded by the NMC Foundation, NMC students were invited to apply for the program, now in its fourth consecutive year, in October. Participation was voluntary for NMC staff and fellow students. The NMC Student Government Association sponsored 10 individuals. Gifts were returned to the Foundation last week and distributed to individuals this week. A total of 85 individuals received gifts.